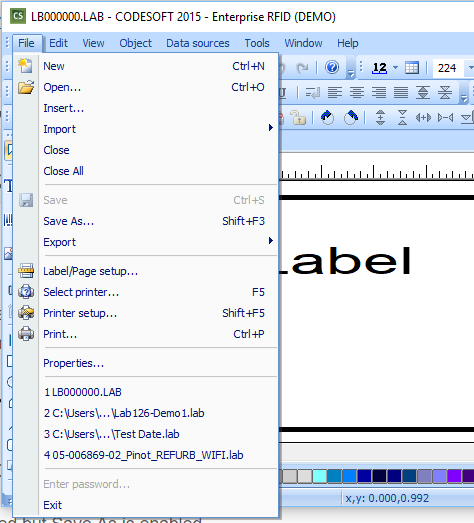 When CODESOFT open an existing label template, the Save button on the menu ribbon or Save on the menu bar is grayed out. Leaving the user unable to save the document. User is unable to save a previously saved CODESOFT document. 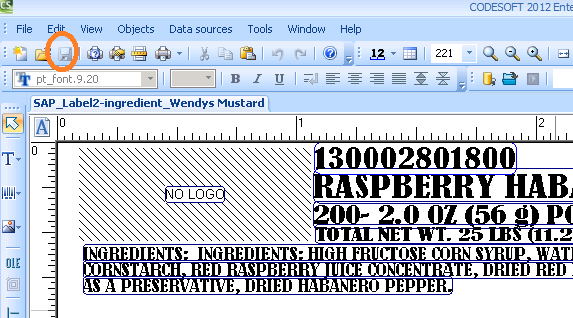 This problem is caused by the “Open documents as ‘Read only’ mode by default” configuration setting within CODESOFT.